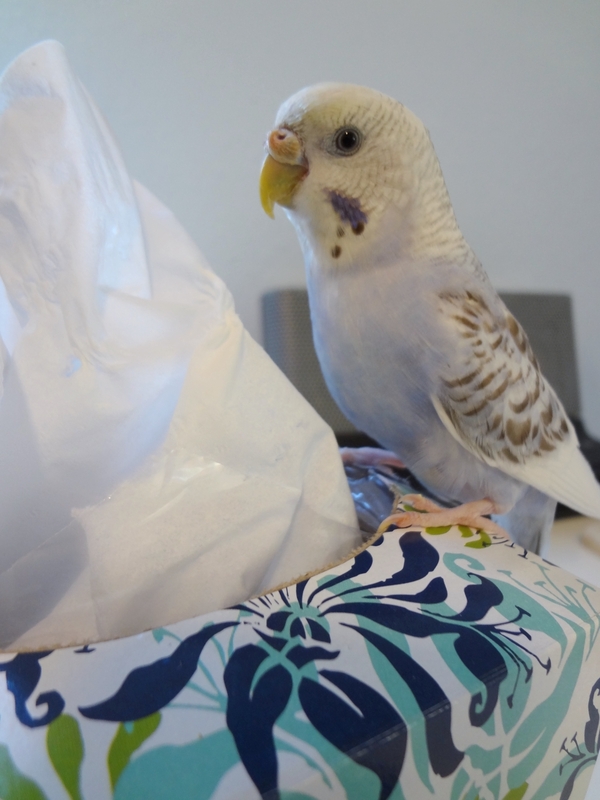 Posted on March 9, 2016 by Michelle M.
Budgies love to play hide and seek. 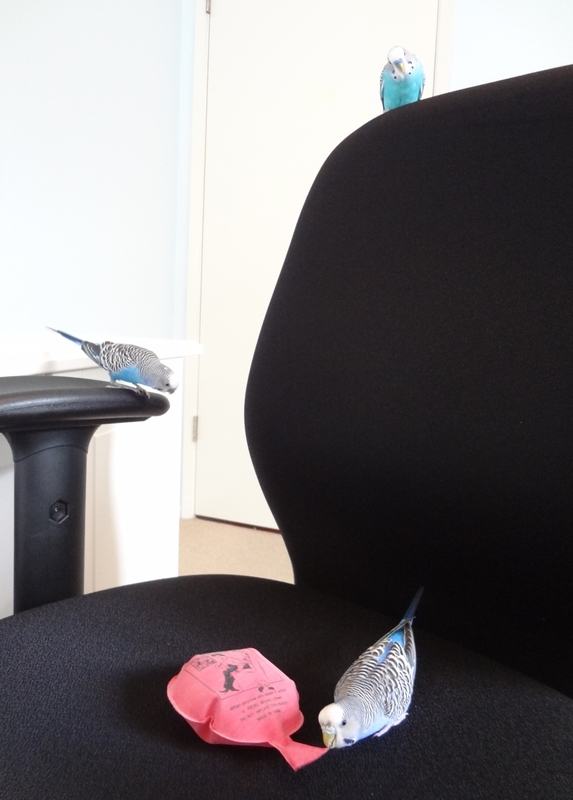 Hmm… I wonder where Lera and Cooper could be…? 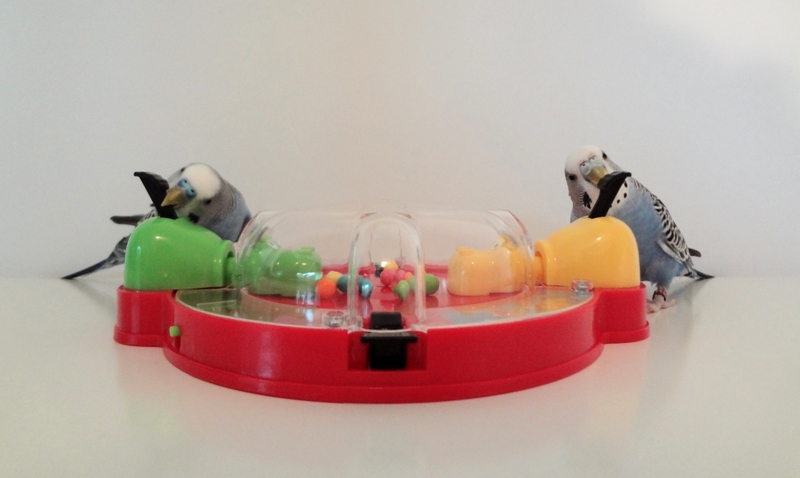 There they are! 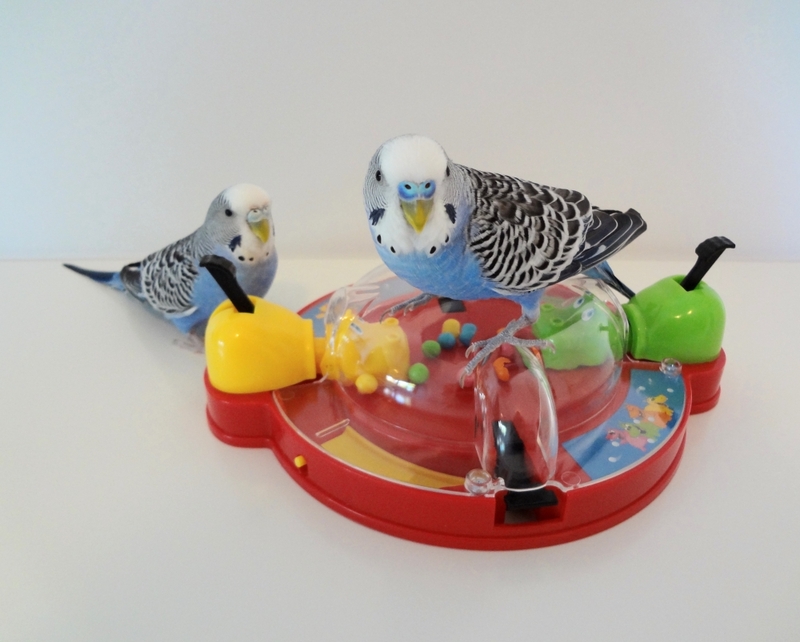 Silly budgies! 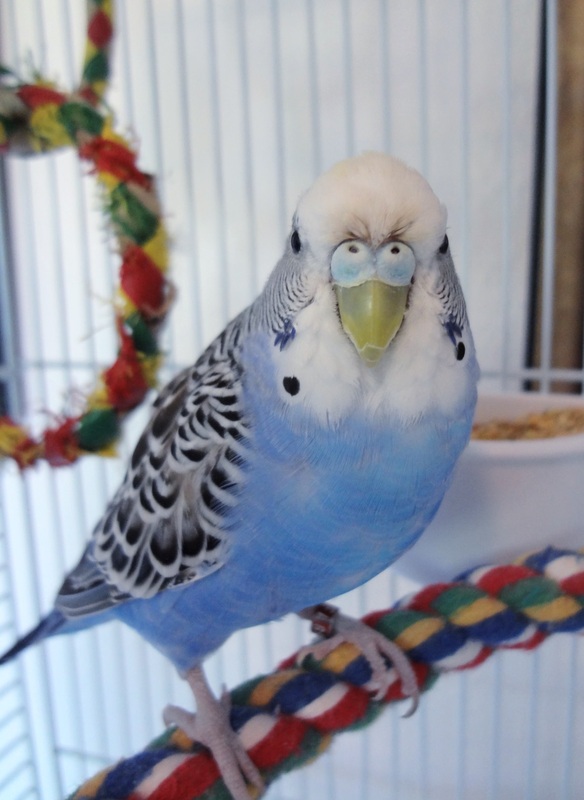 Posted on November 24, 2013 by Michelle M.
That budgies will decide to moult just when you want to take pics for your holiday cards. 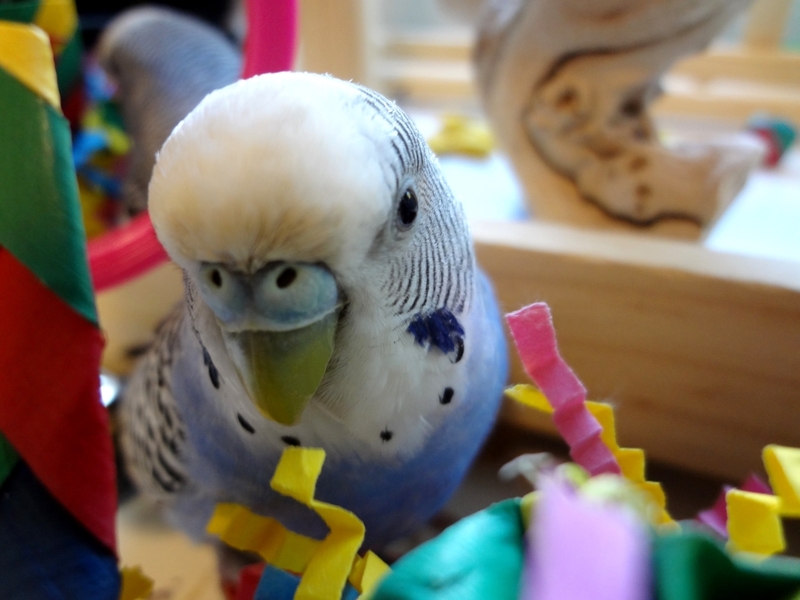 Cooper is not ready for her close up. 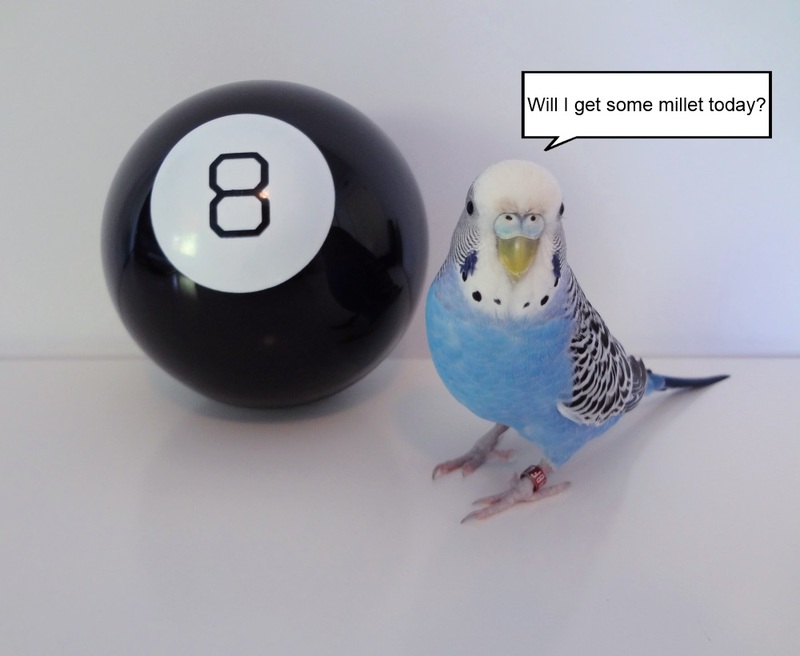 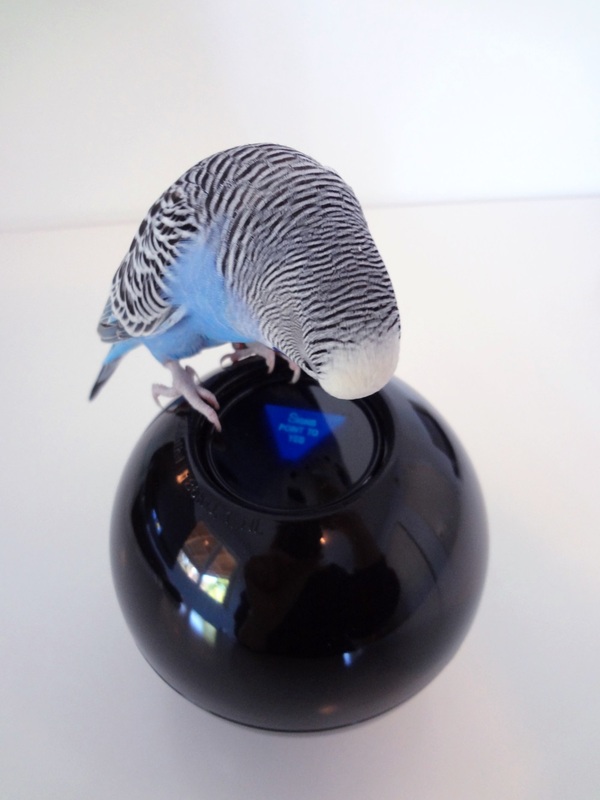 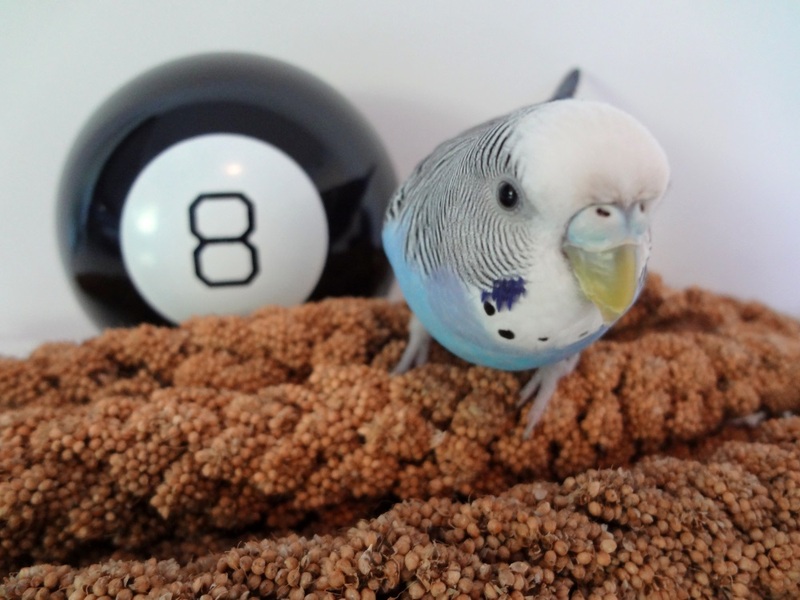 Posted on October 25, 2013 by Michelle M.
Budgies will occasionally consult the Magic 8 Ball. 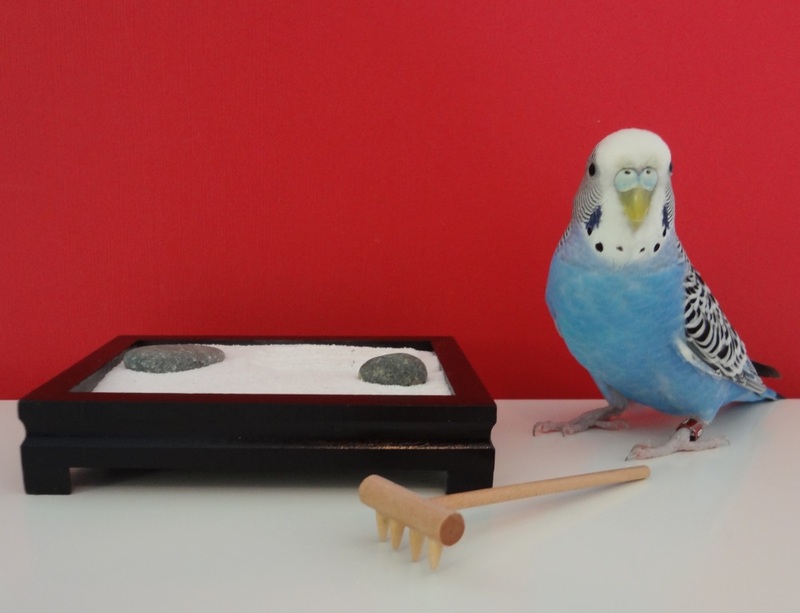 Posted on August 18, 2013 by Michelle M.
The collective noun for a group of budgerigars is a “chatter” (or “chattering”). 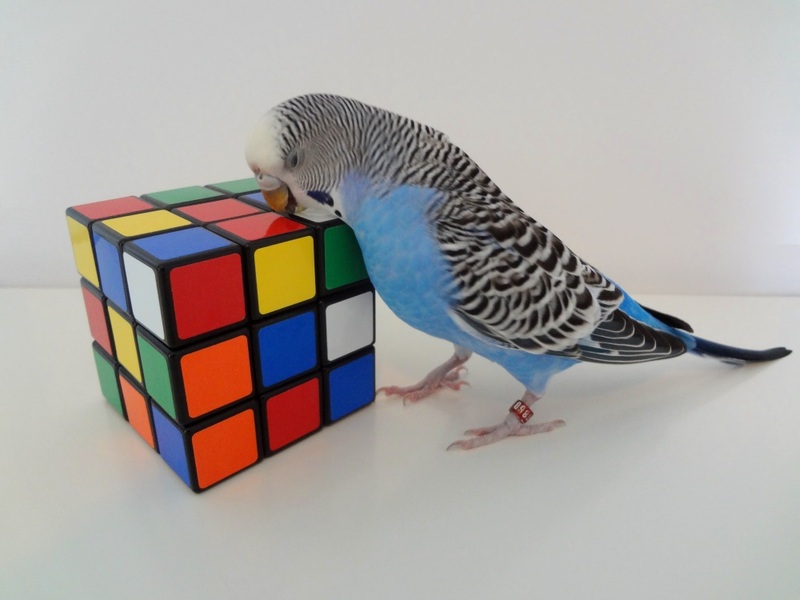 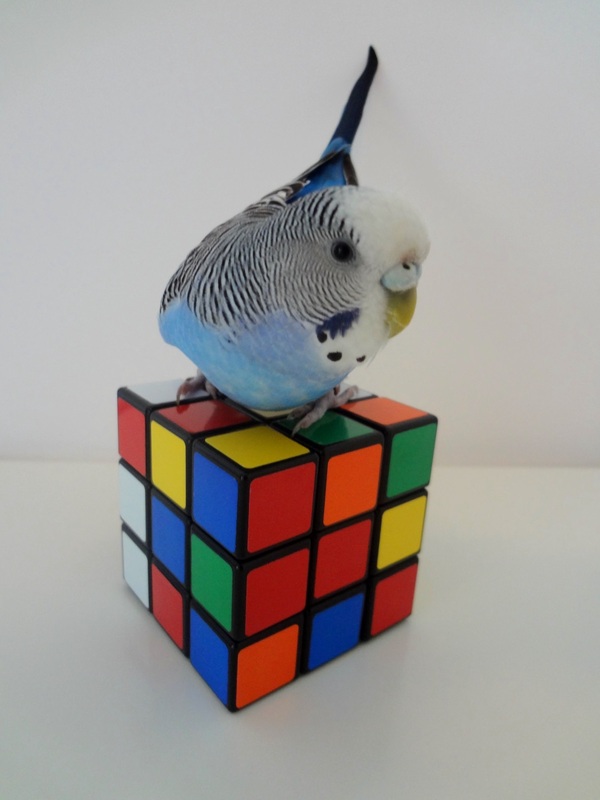 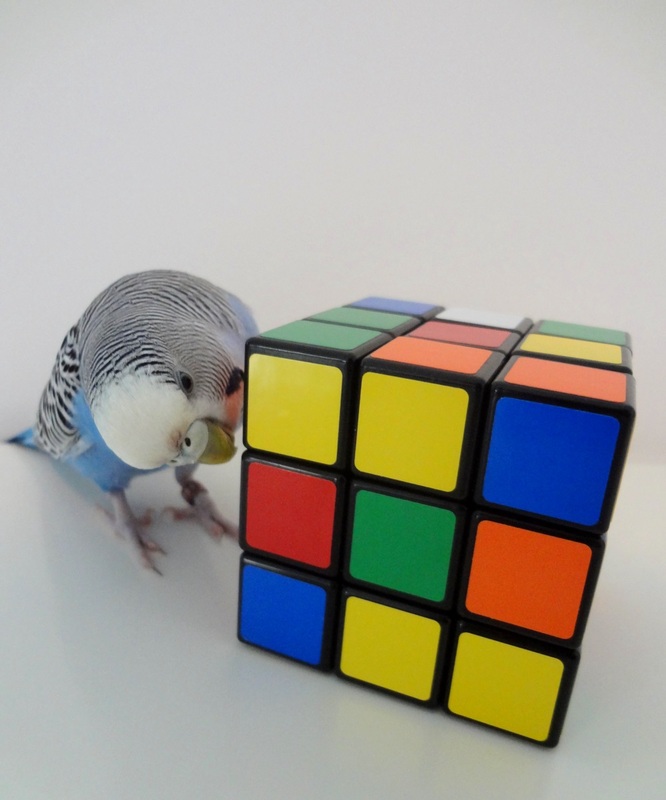 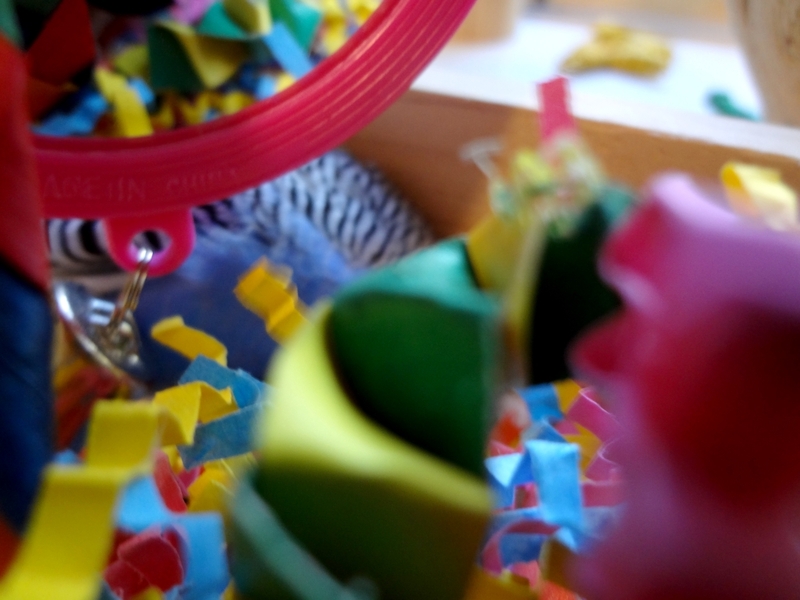 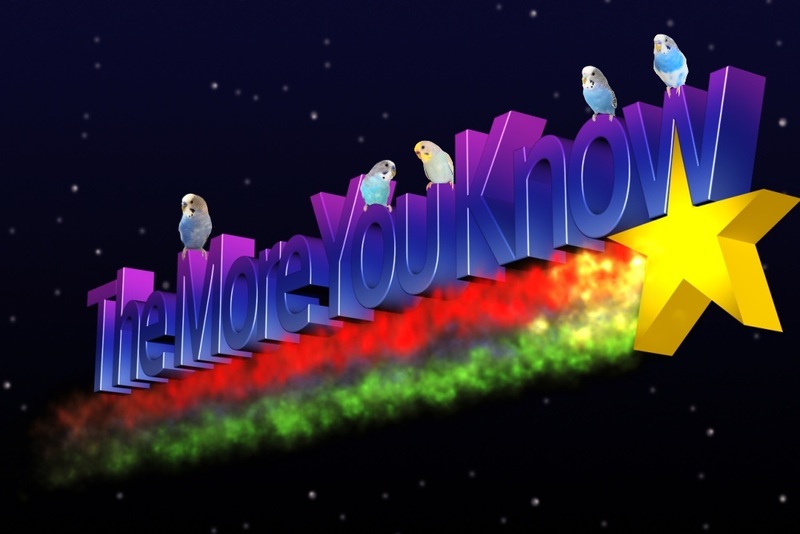 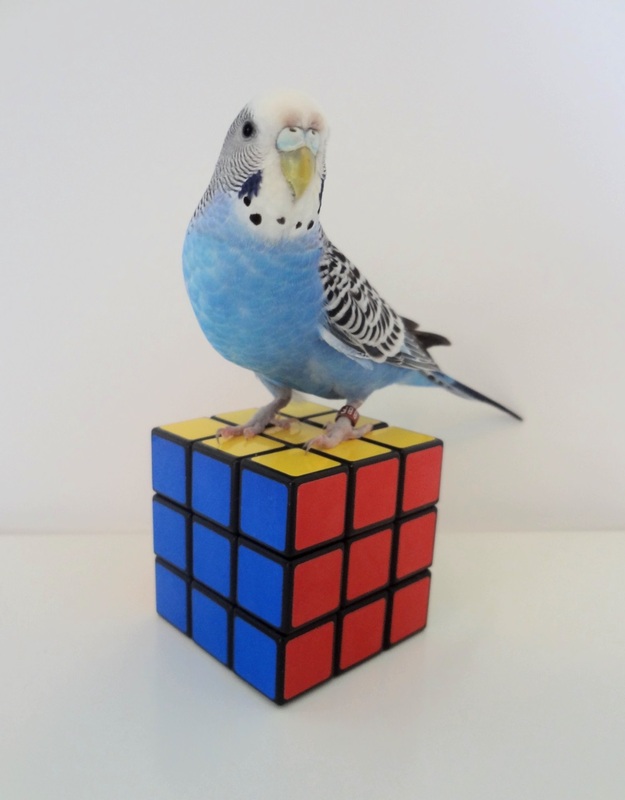 Posted on May 7, 2013 by Michelle M.
A Rubik’s Cube is no match for a budgie. 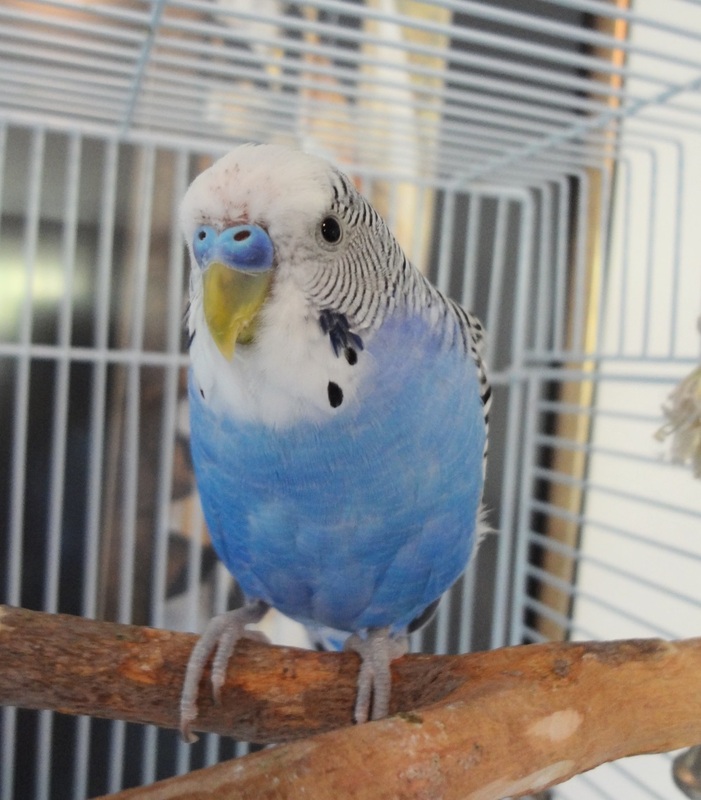 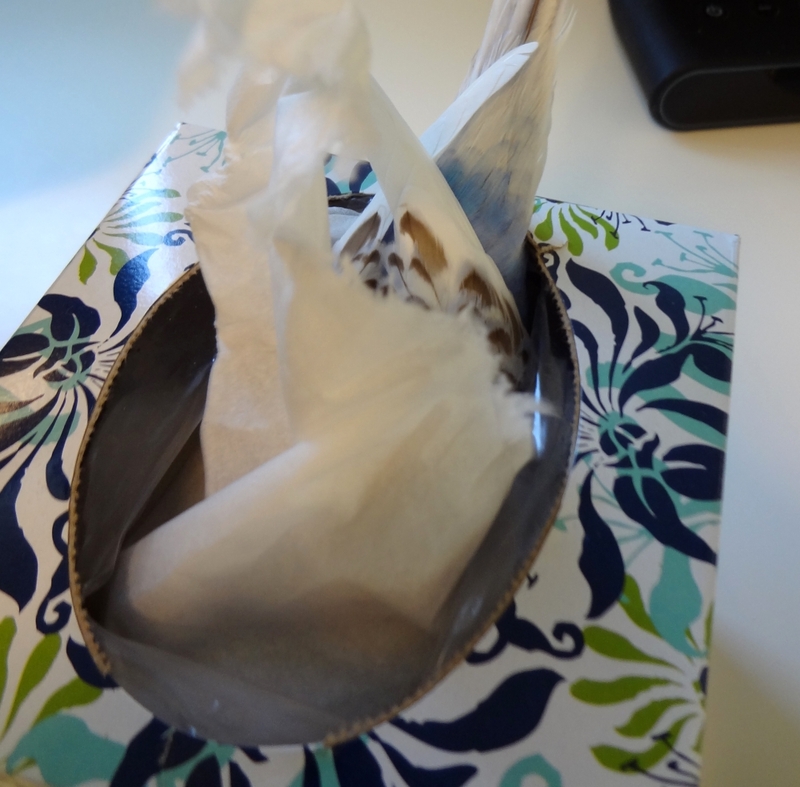 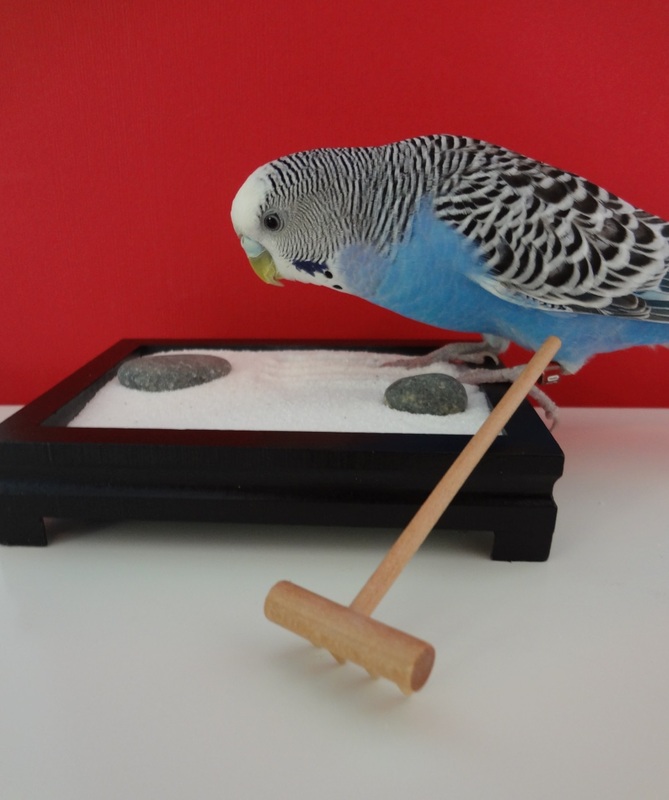 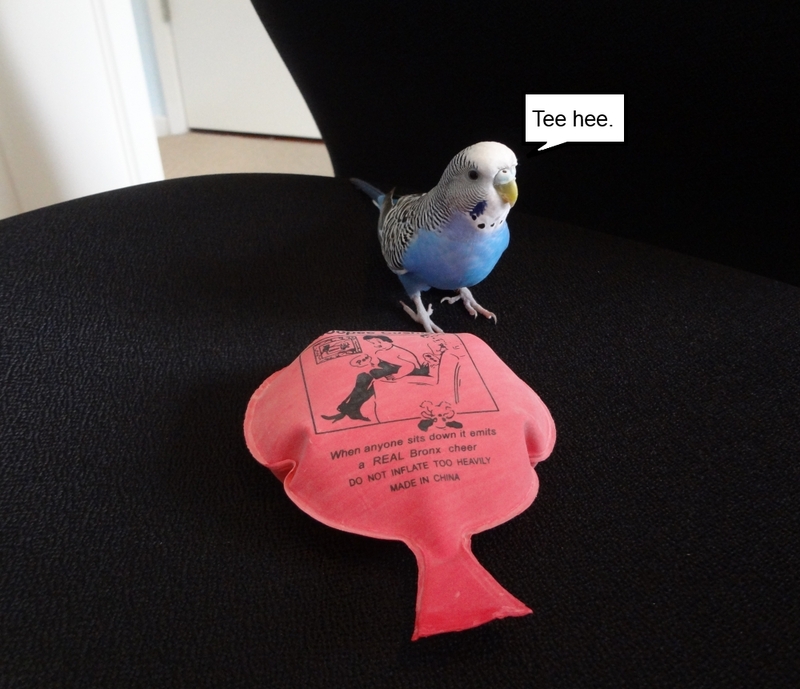 Posted on April 1, 2013 by Michelle M.
Budgies love to play practical jokes. 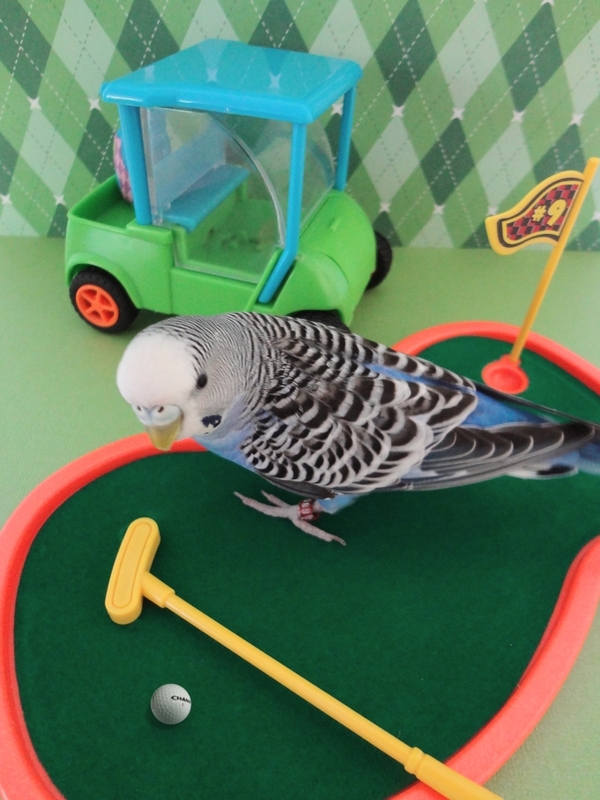 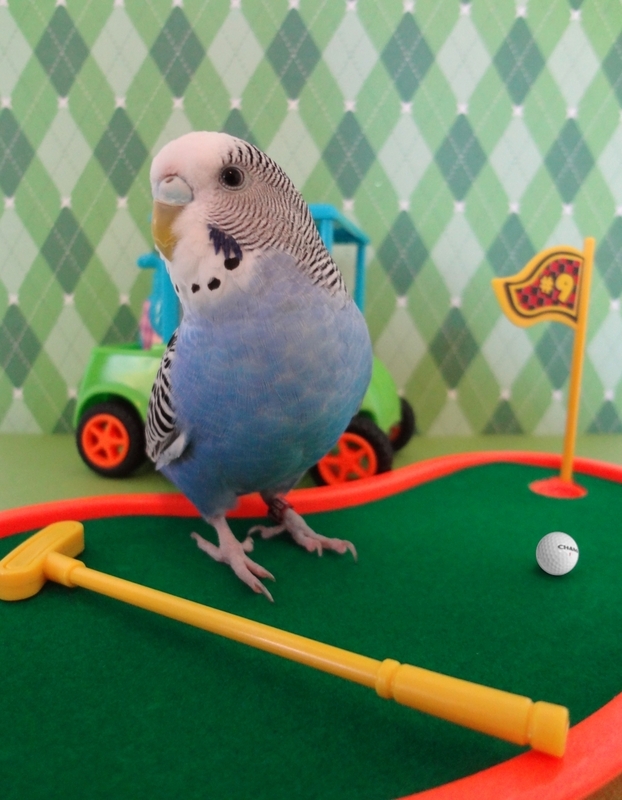 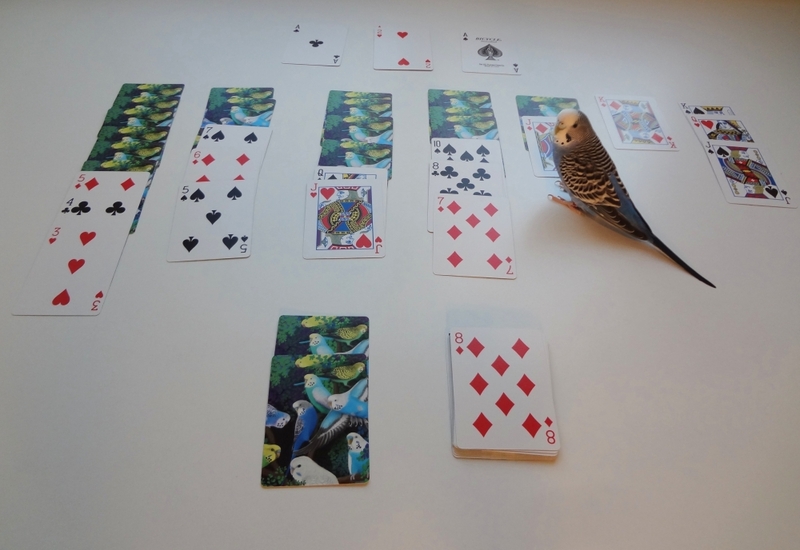 Posted on January 7, 2013 by Michelle M.
Budgies love to play solitaire.